Calling all the gadget geeks! 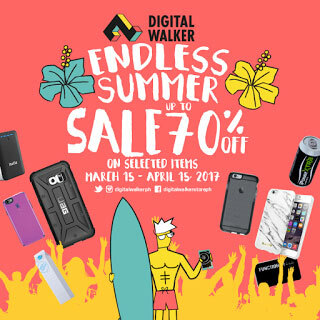 Check out Digital Walker's hot offers on your favorite gadgets at buy-one-and-get-one at 50% off, buy-two-and-get-one at 60% off and buy-three-and-get-one at 70% off from Acemade, Andmesh, Gear4, Ballistics, Bodyguardz, Boostcase, Elementcase, Speck, Tech21, UAG, Laut, Function101, Momax, Stacked, Switcheasy, and Ye! Sale is happening is all Digital Walker stores from March 15 to April 15.